There was a lot said and written last week about the assassination of President Kennedy on the 50th anniversary of that terrible day in Dallas. Like nearly everyone else, I can remember the exact moment when I heard the news. I was in fifth-grade gym class when our principal announced over the intercom that President Kennedy had been killed. I went back to my home room and our teacher, Olive Dickinson, told us about all of the other presidential assassinations in our history—which I’m pretty sure were news to me. It was a lot for a ten-year-old to absorb. Last week mostly was about the assassination—images from the motorcade, the Zapruder film, Lee Harvey Oswald, Jack Ruby, conspiracy theories, and the transition to President Johnson. There were some programs that featured the Kennedy family and their remarkable and tragic history. And there were many pictures of Jackie—from smiling and glamorous to devastated and grieving. In was only after reading a nice piece by Gene Nichol in The News & Observer that I realized the media had largely ignored an important story about President Kennedy. He believed that government was capable of great things and he acted accordingly. He inspired people to become involved in public service, beginning with the memorable line from his inaugural address: “Ask not what your country can do for you, but what you can do for your country.” He created the Peace Corps. Kennedy used to say that “you can’t beat brains,” and he encouraged many talented people to commit themselves to careers in public service. In today’s political climate, it sometimes is hard to remember a time when people genuinely thought that government, especially the federal government, was capable of tackling complex problems. JFK inspired people to reach for goals beyond their grasp—to try things that seemed impossible. My favorite example involves his famous challenge issued to a joint session of Congress on May 25, 1961: “This nation should commit itself to achieving the goal, before this decade is out, of landing a man on the Moon and returning him safely to Earth.” Every scientist at the time thought it was impossible, and NASA Director, James Webb, argued for a much fuzzier goal—“preeminence in space.” He wanted to give himself a margin for error. Kennedy rejected Webb’s argument, saying “If you’re trying to prove preeminence, [landing a man on the Moon] is the way to prove preeminence.” It would not be debatable and even the Russians would know that we had achieved preeminence in space. Kennedy held his ground and his vision became history when Neil Armstrong took his “giant leap for mankind” on July 20, 1969. My last blog post argued that vision is not enough—you also need to focus on nuts-and-bolts management to implement visionary ideas. I didn’t mean to suggest that vision is unimportant, however. President Kennedy was optimistic that government could make a difference and make important things happen. He inspired people to get involved and dedicate themselves to public service. Today, unfortunately, many people don’t look to government to get things done, and the rollout of the Affordable Care Act only makes people more skeptical. 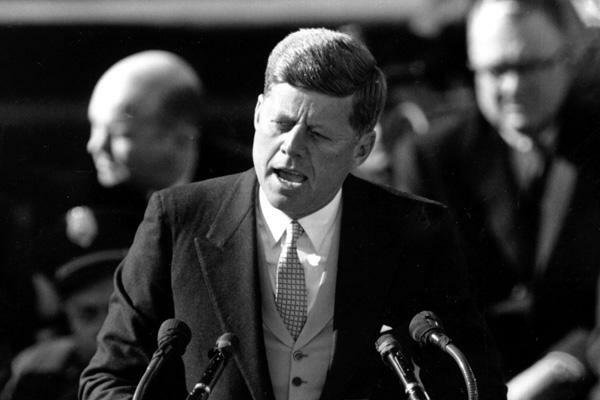 Notwithstanding his personal failings, President Kennedy should be remembered for inspiring government employees and others to believe in a positive, ambitious role for government. It doesn’t matter whether you think government should be large or small. Government needs to work—it needs to accomplish important things—and it needs the best efforts of the best people. North Carolina has many deeply committed people working in state and local government, and the School’s wonderful faculty and staff members are dedicated to public service. The national mood may not appreciate government these days, but my colleagues and our clients regularly ask what they can do for North Carolina, not what North Carolina can do for them. That’s pretty inspiring.